I never thought I would fall so much in love with Nightmare Before Christmas Funko toys, but I suddenly did. These Mega Pop Nightmare Before Christmas Funko plush toys are absolutely fantastic. Now I can cuddle Jack or Sally and watch my favorite movie before Christmas this year! They measure about 16 inches tall. 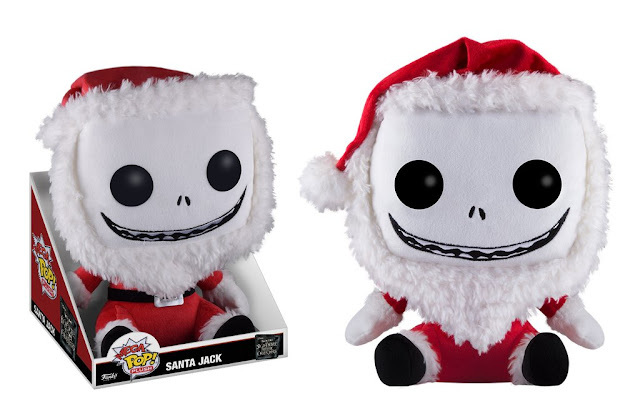 Obviously this Mega Pop Santa Jack Skellington Funko plush is a must-have during the holidays. Just imagining all those evil and mischievous Christmas gifts puts a smile on my face - exactly like Jack's! You can have a delightfully dark holiday by displaying this giant Jack Skellington plush! Now all of your wishes can come true with this Mega Pop Jack Skellington plush by Funko. I don't know about you, but the empty void in my heart will be filled by snuggling this Jack plush. I do wish his smile was a little more sinister, but how can I pass up the Pumpkin King? This Mega Pop Sally Funko plush toy is perfection. I love her quirky smile - it's almost as if she's laid eyes on her beloved Jack! I honestly can't get enough of all her stitches all over her body, and her big beady black eyes. 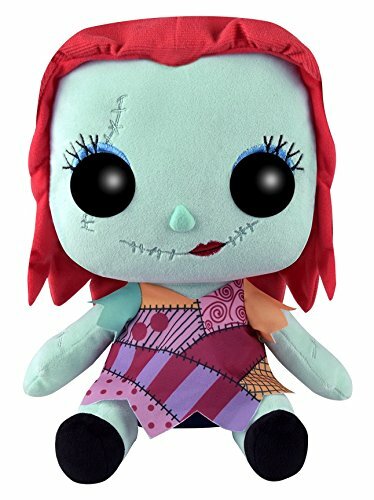 This Sally Funko may be the rag doll I need in my life! 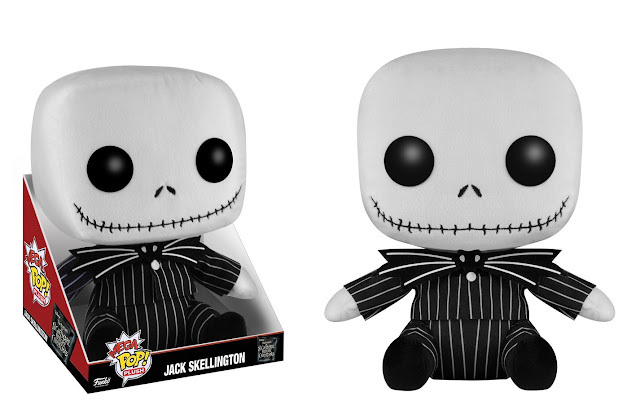 Don't you think that these Mega Pop Nightmare Before Christmas Funko plush toys are cool? I think we all deserve a snuggle from Jack or Sally! Make sure to comment below and let me know what you think!